We have received the following from Barnet Trading Standards. A consumer received a knock at the door from two men and one woman claiming to be from Barnet Council. One was wearing a high-visibility jacket and flashed some kind of ID, the others wore suits and carried briefcases. They said something about insulation being a legal requirement and that they could organize for the work to be carried out for £100. If you receive callers like this, call the police on 0300 123 1212. It's getting to that time of year when we start our Christmas shopping (some of you might have finished of course!) and we should give a thought to how secure our homes are. Don't give burglars an open invitation into your home - properly lock any UPVC doors before you go out or go to bed by lifting the handle and double-locking with the key to engage the security features. Remember, even if the handle is lifted up on the inside, it isn't properly secure unless it's double-locked. Lock all doors and keep all windows (including upstairs ones) closed, preferably locked, when you are out, and keep your keys out of sight. Try to keep all loose valuables like laptops, cameras and mobile phones out of the sight of anybody looking in - and why not register them on the free online database www.immobilise.com. Give your home the 'lived-in' look by using timer switches on lamps if you are going to be home after dark. Secure your rear garden - lock your shed, shut and lock any gates and keep fences maintained. Don't leave ladders and tools outside - they could be used by a burglar. If your neighbours are away on holiday, you can help to deter burglars and give their home the lived-in look by putting away their emptied rubbish bins. When Christmas arrives, don't put all the boxes which contained your gifts outside by the bins for any passer by to see what you now have in your home! If you should see anything suspicious please report it on 0300 123 1212 or in an emergency please dial 999. Chief Inspector Simon Causer is in the process of reviewing Safer Neighbourhood Teams in Barnet and has written a letter to Borough Watch Members about it. Click here to downloaded his letter as a PDF. You will recall that last April the licensing committee over ruled the objections of many residents when they granted licence extensions to the Sutra Club (formerly N20) at 1105-1111 High Road, N20. On 19th November, following a Police request to review the licence of the Sutra at 1105-1111 High Road N20, the Licensing sub-committee has suspended the licence of the Sutra bar, pending a full review within 28days. This police request followed an incident on Sunday 14th November 2010 at 1.50am when there was large scale disorder both inside and outside the premises. Males and females were fighting with glasses and bottles being used as weapons. A number of people had head injuries apparently caused by glass weapons. None of the injured parties wanted to report the offences or speak with Police and a similar response was received from staff at the venue. Numerous police units attended the scene along with 3 ambulances. A 20 year old man from Romford was arrested for a public order offence and received a police caution. This, along with the previous incidents listed below, caused police to instigate this action. On 31st July a fight took place inside the premises between two groups. The door staff tried to separate them and they were ejected. The disturbance continued outside the club and metal barriers were thrown at the door staff breaking the glass in the front doors. On 19th September a car was driven at the front entrance of the premises colliding with barriers and an adjacent wall. At the time door staff and clientele from the premises were standing in this area. On 25th September an assault took place inside the club with a bottle of spirits being used as a weapon. A number of fights then took place within the premises and continued outside. On hearing police evidence the committee decided that in the circumstances, the only measure that would promote the licensing objective of the prevention of crime and disorder and would prevent serious crime and serious disorder from occurring at the premises was the immediate suspension of the premises licence. 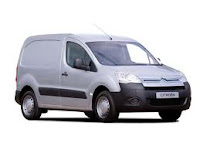 A van thought to be a white Citroën Berlingo has recently been seen in the Hadley Wood area in suspicious circumstances. The last incident was earlier this week in Wagon Road when workers apparently saw the two white male occupants change the index plates to the vehicle. A property very near the location was unfortunately burgled. On more than one occasion in the past few months the occupants of a vehicle of the same description were suspected of being involved in the theft of tools from vans in and around Beech Hill, Hadley Wood. The registration has previously been given as S179 BGM. However, this is not registered and may explain the changing of registration plates that may happen regularly. On Saturday 27th November, the Police officers will have recovered property on display at Chipping Barnet Library, 3 Stapylton Rd, Barnet, EN5 4QT (near The Spires Shopping Centre). All property has been recovered from criminal activity and will have unique markings for owners to identify. If you would like to attend, the library is open from 9:30am to 4:30pm. The Metropolitan Police Authority has issued a document on community engagement, which can be downloaded here as a PDF. Barnet Community Safety Engagement Group would like to invite you to meet with Barnet’s Borough Commander, Chief Superintendent Neil Basu, to discuss the future of policing in the borough following the comprehensive spending review. In common with all public sector bodies, the Metropolitan Police Service is facing difficult financial times. It must ensure value for money is achieved, efficiencies are successfully implemented and frontline staff are freed from bureaucracy and centralised targets: how will this now be possible? How will this affect communities – the link between the police and the people? This event will focus on how Barnet police will function once possible cuts are in place. If you don't want Halloween Trick or Treater's knocking on your door on Sunday 31st October, download this met police poster, make a print and put it on display. Here's a report from a member in Edgware about someone who was probably a burglar. Most of these criminals are arrested as a result of a direct call to the police from members of the public so if this happens to you call the police on 999. I just had a very strange chap knock at my door. When I answered it, he told me he was the window cleaner. I told him he wasn't my window cleaner and he told me "well this was the address he gave me". I asked him who he was and he mumbled something and walked off down the path. I then saw him putting a ladder up against next door (they are out). However, when a parcel delivery man appeared, he quickly took it down and went off down the road. He had no form of transport just a bucket and a ladder. I mention this as not only did I think he was very suspicious but we had a very similar experience at my previous address and that "window cleaner" turned out to be a burglar who succeeded in breaking into two flats before being discovered by the porter! Please remember that this is worth a 999 call particularly as we are approaching the seasonal burglary peak. The Police are launching their new campaign today with their partner agencies. I will be sending you info on that as soon as we get it. Barnet Police commence "Operation Jupiter"
Barnet Police commence "Operation Jupiter" this week as part of a 6 week operation to tackle burglary in the borough. As part of the operation many police resources including Dog support, Traffic, Territorial support and undercover officers have been deployed to target those responsible. As always I ask all Barnet residents to be vigilant and do all they can to ensure their homes are secure. In addition I urge all the community to report anything suspicious via 0300 123 1212 to your local Safer Neighbourhood Team or via Crimestoppers on 0800 555 111. In an emergency call 999. Information is always the key in catching criminals in the act or during the resulting investigation. You are our eyes and ears. Together we can make a difference. Planning Application B/03174/10 has been submitted to convert the 5 bedroom family home at number 65-67 Oakleigh Park South into 5 flats with 20 beds and only 5 car parking spaces. (Previous application B/01287/10 submitted last April was withdrawn.) This is one property, not two. Number 65 is the main residence and number 67 is a granny flat on the side. 1. Because if this application is granted it will change the character of the Oaklegh Park estate and set a precedent for further flat conversions. 2. Because just 5 parking spaces for up to 20 residents is woefully inadequate particularly on a stretch of road that is already made dangerously narrow by having commuters' cars parked outside. Objections must be submitted to Barnet Planning by 9th September and you will shortly receive a flyer by post about this development together with a letter of objection that you may wish to use. Meanwhile, click here for links where you can download the Application and Plans. If you see this motorcycle or the suspects or witness these two committing an offence call the police on 999 immediately. Do not approach them. Welcome to the summer edition. First a few tips on safer driving and security. Car crime is very common. Car security devices are available at all price ranges. Contact several suppliers for advice before you purchase. DO NOT leave valuables in a car when it is parked. Make sure that your car is kept in good running order. Do not put yourself at risk by running out of oil, petrol or water. Take the time to learn the basics of car maintenance and have you car serviced by a reputable garage. Consider joining a breakdown organisation as added security. If you feel vulnerable travelling alone it is worth considering purchasing a mobile phone. Ensure the mobile is fully charged before setting off on long journeys. Always let someone know where you are going. Plan your route and take a map to avoid asking strangers for directions. Take enough money with you for emergency phone calls and consider a phone card. Take the details of your breakdown organisation and membership number. Keep doors locked and keep handbags out of view. Avoid eye contact with aggressive or suspicious drivers. If you are forced to stop, keep your engine running and enough room around you to turn around. If a driver gets out and approaches you, flash your lights and sound your horn. If you have an alarm, set it off. Call for help on an emergency phone (or mobile if you already have a contact who can assist you). If you are a woman alone make sure you inform the contact of this fact. Return to the car, but stay on the verge/bank. Lock all doors except the passenger door nearest to you. Get back in and lock the door if someone pulls up. Remember that you should only stop on the hard shoulder in an emergency. If you are lost it is safer to make your way to the nearest service station, roadside restaurant or town and establish your bearings there. Do not accept help from passers by. If someone approaches get into the car, lock the doors and speak through a slightly open window. Pickpockets choose their targets carefully. They avoid people who look confident and aware of their surroundings and hone in on those who seem more oblivious, lost or distracted in some way. As Arno said, "They [pickpockets] have no respect because they feel they recognize you before you recognize them." Watch out for potential "set-ups," such as someone bumping into you or asking a question as a distraction while someone else steals your wallet. Appear confident and look like you know where you're going. People who are targeted for street crimes look like victims. Dress down. Don't flaunt jewellery or designer labels that let a pickpocket know you're likely to have money or valuables close at hand. Listen to your instincts. If something feels strange, go inside a shop, cross the street or seek help. Aside from how you look and act, the way you hold your purse or wallet can also be a deciding factor on whether or not you're preyed upon. Most thieves will go for the easiest target, which means that if your purse is left unattended in a shopping basket or your wallet is sticking out of your pocket, you're more at risk. Keep your purse in sight at all times. Do not hang it on the back of a chair, the hook on a public loo door, or leave it unattended while shopping or trying on shoes. Use a wallet that can attach to your belt (also known as a money belt) and keep it out of sight. Always keep purses closed and carry them close to the front of your body, or held tightly under your arm. If your purse is slung over your head, consider wearing it under your coat (this makes it harder for a thief to pull on the strap). Don't carry all your cash in one place. Carry only a small amount of cash. Carry only what's necessary, and nothing more. Keep house keys in your pocket, rather than your purse. If a thief steals your purse and house keys, they have your address and access to your home. Leave irreplaceable items (photos, important papers, sentimental trinkets) at home. Sometimes, no matter how careful you are, you can't stop a pickpocket. The first thing to remember is that your purse or wallet is not worth getting hurt over. If someone tries to take your belongings, resist the urge to fight back. While some thieves will back down at the sign of confrontation, others are willing to fight and may be carrying a weapon. Don't panic - try to think clearly. Call the local police right away. Make a list of everything in your purse or wallet, including credit cards, cheques, ID cards, cash and other items. Call your credit card companies and report your cards as stolen. Call your bank and tell them your bank cards/cheques have been stolen. If your driving licence was stolen, contact DVLA to get a new one. Monitor your bills for unusual activity, and report anything strange to the bank or police. Keep in mind, too, that purses and wallets are not the only things that get stolen. With all of the new high-tech gadgets out there, thieves have a whole new world of possibilities. In fact, iPods and mobile are just as popular to thieves. "iPods have made bus stops a choice location for purse snatching," said one police source. Luggage, leather jackets, gold chains and expensive trainers are also tempting to thieves. Finally, 50% of all recent burglaries in Barnet have one thing in common: Open doors and windows. Don’t make it easy for them. On Wednesday, 16 June, at 20.05 hours a fatal collision occurred in Netherlands Road at the junction with Temple Avenue involving a young female jogger and a Blue BMW 3 series car which failed to stop at the scene. The car is a recently registered vehicle with a registration plate bearing the numbers 55 or later. The car was travelling north along Netherlands Road toward the width restriction and Longmore Avenue. There have been a number of incidents reported of people sitting in their cars at traffic lights or in a line of traffic, when suddenly someone opens the passenger door and grabs the ladies handbag that has been placed on the passenger seat of the car. The general area in which this has been reported appears to be around the North Circular, North Finchley, New Southgate, East Finchley, but obviously any area could be targeted. Please ensure your car doors are locked when you get in. Don’t put your handbag (or computer bag or other valuables) in full view on the passenger seat. Please report any suspicious activity to the police. Please pass this on to as many neighbours friends family etc. The Haringey Gospel Hall Trust intends to submit a planning application to build 97 homes on the open space that it owns and which lies behind Marks & Spencer. Access to this proposed estate will be via Well Grove and a new road adjacent to the site previously occupied by the Black Bull pub. The residents of the roads that bound this site have formed a committee called Residents Against Development and their efforts have resulted in Barnet Council calling a Public Forum meeting. If you want to know more about this proposed development, how it may impact you and how you can object, please consider attending this meeting which will be held at 7pm on Wednesday, 30th June at the Brethren Meeting House, Well Grove. For further information please contact either Residents Against Development (residents@fsmail.net) or LB Barnet Planners (thomas.wyld@barnet.gov.uk). Planning Application B/02097/10 has been submitted to part demolish 4 Oakleigh Park South and convert it into 6 self-contained residential flats with 7 off-street car parking spaces. Plus erect 2 two storey (with rooms in the roof space) detached dwelling houses with lower ground floor to house no. 1, with integral garages and off-street car parking spaces. Click here to download the application, design and access statement and plans in a zip file. There were 5 separate incidents yesterday of pick pocketing in the borough. These were in Childs Hill and Mill Hill. All the victims were elderly. One was on a bus, one whilst shopping and the rest in the street. Only one group of suspects were actually seen. These were eastern European women. It's vital that handbags are kept to your front and should be zipped up or difficult to get into. These suspects will distract their victims such as asking a question or pushing. Beware of people invading your personal space particularly on buses, in shops or near cash machines. A good tip for the ladies is to tie a cat bell on the handbag, these are cheap and are available at pet shops etc. If in doubt about any suspicious persons call 999. There has been an increase in purse and handbag thefts on the High Street, generally occurring during the hours of 11am - 2pm. Most common methods are dipping into open bags, sometimes following the victim from post office and banks after withdrawing monies. Please ensure bags are not left on shopping trolleys, pushchairs, or on the backs of seats or under seats in restaurants and coffee shops. There has been increased policing on the High Street to help tackle this. Please pass this information on to friends and neighbours and be extra vigilant. If you see anything suspicious, phone 999. 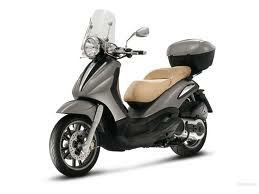 Five burglaries last night (25th May) with one thing in common. Open doors and windows!! I know we do keep on about this but as soon as that temperature rises the burglars will be out looking for insecure and inviting properties. Remember that your insurance company may view this as leaving your home insecure. The areas in question were HA8, N10, NW4 and N2. For crime prevention advice contact your local Safer Neighbourhoods team. The Communities Safety Engagement Group (CSEG) will be holding an event on the 10th June at Hendon Fire Station where members of the public will be given the opportunity to hear presentations from the police and fire service on how to stay safe in your home and community. The CSEG is funded by the Metropolitan Police Authority and has the direct involvement of the Barnet Police, the local authority and other agencies. Participating in the group and its activities gives you the opportunity to meet the Borough Commander, senior police officers, local councillors, the probation service and the court service to raise issues, discuss concerns, find out about what’s being done and come up with solutions. Click here to download a press release on how Barnet's police will be measured this year. If this happens to you or an elderly neighbour, immediately call the police. We have also been made aware of a scam by people pretending to be from Microsoft informing you that your computer has become infected. They then try and get the victim to download remote access software in order to gain control of his or her computer. This has just happened to one of our members in Edgware. 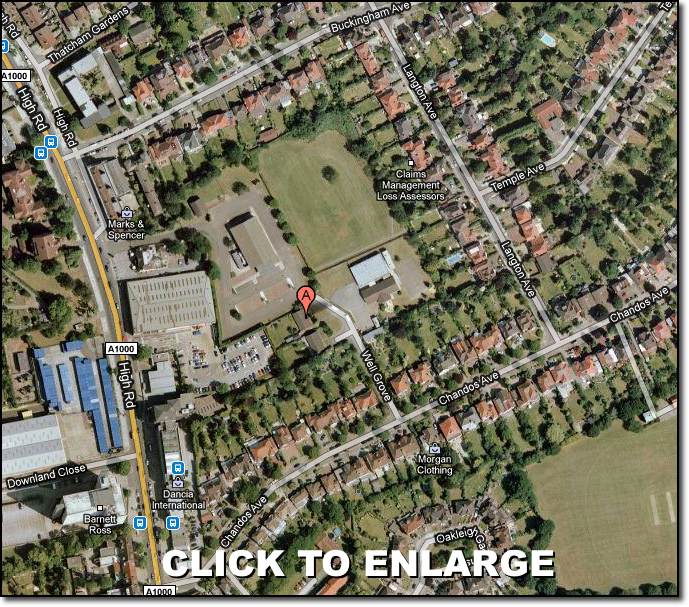 By now you will have received a flyer and sample objection letter by post regarding Planning Application B/01287/10 to convert the family home at number 65-67 Oakleigh Park South into 5 flats with 19 beds and only 5 car parking spaces. If you don’t want to see a precedent set for the conversion of family homes into flats on the Oakleigh Park estate you must object now. 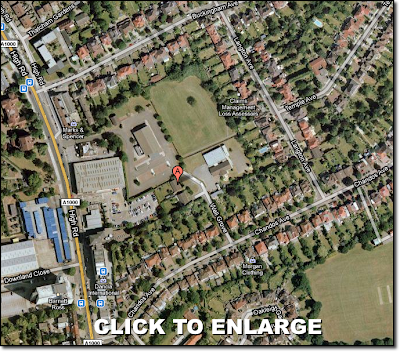 If you wish to object, your objection letter must be received by Barnet Planning by 5th May. Last summer the iBar (formerly Bull and Butcher) in the High Road next to Boots applied for a licence to remain open till 2am, which was turned down after 108 residents objected. There is now another similar application from Sutra, the nightclub which was formerly known as N20 on the High Road Whetstone. Sutra want to remain open until 00:30hrs Sun to Wed, 1:30hrs Thurs, 2:30 hrs Fri and Sat and Christmas Eve, New Years Eve 3:30hrs etc. with premises being vacated within 30 minutes of these times. If Sutra obtains this license a precedent will be set and iBar is likely to reapply and may well get a similar sort of license. Your objection must be received by Barnet Council's Licensing Officer no later than Tuesday, 27th April. * Please note that you must include your name and address on any objection letter so that the Licensing Officer can check that you legitimately live in the area. Planning Application B/01287/10 has been submitted by a local resident to convert the family home at number 65-67 Oakleigh Park South into 5 flats with 19 beds and only 5 car parking spaces. This is one property, not two. Number 65 is the main residence and number 67 is a granny flat on the side. It was previously the home of Sir Alan Wilson who was an academic scientist as well as Chairman of Courtaulds and Glaxo. You may be interested to read his obituary and a comment by Lord Bullock. 1. If this application is granted it will change the character of the Oaklegh Park estate and set a precedent for further flat conversions. 2. That just 5 parking spaces for up to 19 residents is woefully inadequate particularly on a stretch of road that is already made dangerously narrow by having commuters' cars parked outside. Objections must be submitted to Barnet Planning by 5th May and you will shortly receive a flyer by post about this development together with a letter of objection that you may wish to use. This is a cold calling incident in East Finchley relating to suspicious callers in Cecilia Close N2 on 25th January. MALE white aged mid 20s 5ft 7in, medium build wearing a wooly hat, light polo shirt and light beige jacket and a MALE white aged mid 20s 5ft 3in, stocky build wearing light beige jacket, dark trousers. Last night, 25/01/2010, two white MALES knocked on the informant's door. Both had plastic cards on lanyards around their necks and were holding notebooks. They stated that they were from AOL / TALK TALK and were updating computer systems. The informant told them that they were not interested and asked them to leave but they insisted that they had to come in and do something to his computer system. The informant refused and one of the MALES became abusive with the informant. The informant contacted AOL and they stated that without a name they could not confirm if they were staff but in all updates the informant would be sent an e-mail. The Informant is concerned as there are lots of elderly people in the area. They had actually come during the day and asked if there would be anyone in throughout the evening. They then came back in the evening insisting that they come into my house. The informant has spoken to some neighbours and they have experienced the same thing but did not allow them in. If these people show up call police on 999 immediately. ... about what is happening in your neighbourhood by subscribing to the OPRA e-mail list. We hate spam as much as you do so be assured that your address will never be shared with any third party. ... are important to us. If there are issues on topics such as planning, refuse collection, street cleanliness or road traffic that you'd like to raise with OPRA or bring to the attention of your neighbours, please to the OPRA committee.